I hope Elix doesn't mind me posting his great VPS OPTIMIZING techniques. I have posted them at the bottom. These technques can definately help you, but remember, use them at your own risk. If you don't know what your doing, research it before attempting it. This will help but as mentioned in previous posts, with a VPS you do not have access to your kernal. That is good in some ways, because if you don't have access to it, neither to hackers or spammers (which limits what they can do). Its bad in ways, because you lose control and if you secure your box as much as possible, you are still at risk because you cannot control your kernal. Check for root kits and even set a root kit on a cron job. This will show you if anyone has compromised your root. Always update chrootkit to get the latest root kit checker. Hackers and spammers will try to find insecure upload forms on your box and then with injection methods, try to upload the root kit on your server. If he can run it, it will modify *alot* of files, possibly causing you to have to reinstall. I use these three commands the most. If someone does happen to get root, be warned quickly by installing a detector and warning at your box. You will at least get the hackers/spammers ip address and be warned someone is in there. 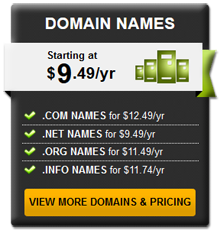 Web Host manager and CPANEL mods. Update OS, Apache and CPanel to the latest stable versions. Note: You can download Putty by Clicking Here (http://www.chiark.greenend.org.uk/~s.../download.html). It's a clean running application that will not require installation on Windows-boxes. Note 2: You can also create a custome nameserver specifically for your new SSH IP address. Just create one called something like ssh.xyz.com or whatever. Be sure to add an A address to your zone file for the new nameserver. Note: If you should have any problems, just Telnet into your server, fix the problem, then SSH in again. Telnet is a very unsecure protocol, so change your root password after you use it. After SSH has been redirected, disable telnet. To install BFD, SSH into server and login as root. After BFD has been installed, you need to edit the configuration file. Save the changes then exit. Logwatch is a customizable log analysis system. It parses through your system's logs for a given period of time and creates a report analyzing areas that you specify, in as much detail as you require. Logwatch is already installed on most CPanel servers. To modify LogWatch, SSH into server and login as root. Note: High will give you more detailed logs with all actions. A number of suggestions to improve system security. Some of this is specific to CPanel, but much can be applied to most Linux systems. Keep the OS and 3rd party software up to date. Always! CPanel itself can be updated from the root WHM. Change the root passwords at least once a month and try to make them hard to guess. Yes it's a pain to have to keep remembering them, but it's better than being hacked. Set Up A More Secure SSH Environment As described here. 2. Change the disable = no line to disable = yes. 3. Hit CTRL+X press y and then enter to save the file. Also, add the following line to /etc/deny.hosts to flag Telnet access attempts as 'emergency' messages. Now configure /etc/services so that it only has the ports you need in it. This will match the ports enabled in your firewall. Install something like logwatch to keep an eye on your system logs. This will extract anything 'interesting' from the logs and e-mail to you on a daily basis. Switch it off via WHM Account Functions => Disable or Enable Demo Mode. Via WHM Account Functions => Manage Shell Access => Jail All Users. Better still never allow shell access to anyone - no exceptions. Replacing nnn.nnn.nnn.nnn with the attacker's IP address. Replacing hostname with your hostname. Replacing notify@mydomain.com with your e-mail address. This will deny access to the attacker and e-mail the sysadmin about the access attempt. If nmap isn't installed, it can be selected from root WHM's Install an RPM option. This can be done in CPanel from the root WHM Server Setup -> Set MySQL Root Password. Make it different to your root password! - mod_userdir Tweak. But that will disable domain preview. "suexec allows cgi scripts to run with the user's id. It will also make it easier to track which user has sent out an email. If suexec is not enabled, all cgi scripts will run as nobody. " Even if you don't use phpsuexec (which often causes more problems), SuExec should be considered. This needs to built into Apache (Software -> Update Apache from the root WHM) and does the same as SuExec but for PHP scripts. Wisth PHPSuExec enabled, you users will have to make sure that all their PHP files have permissions no greater than 0755 and that their htaccess files contain no PHP directives. This will prevent hackers from compiling worms, root kits and the like on your machine. 4. Hit CTRL+X, they y, the enter to save the file. List all users logged in on your network. The rwho service must be enabled for this command to work. System info about a user. Try: finger root last. This lists the users last logged-in on your system. Show the last (1000 or so) commands executed from the command line on the current account. The | more causes the display to stop after each screen fill. Print working directory, i.e. display the name of your current directory on the screen. Print the name of the local host (the machine on which you are working). Print user id (uid) and his/her group id (gid), effective id (if different than the real id) and the supplementary groups. List the processes that are have been run by the current user. List all the processes currently running, even those without the controlling terminal, together with the name of the user that owns each process. Keep listing the currently running processes, sorted by cpu usage (top users first). Print disk info about all the file systems in a human-readable form. Print detailed disk usage for each subdirectory starting at root (in a human readable form). (as root. Use /sbin/lsmod to execute this command when you are a non-root user.) Show the kernel modules currently loaded. Show the current user environment. Show the content of the environment variable PATH. This command can be used to show other environment variables as well. Use set to see the full environment. each with the name of the owner. Use top to keep listing the processes currently running. PID Bring a background or stopped process to the foreground. Run any command in the background (the symbol & means run the command in the background?). (as root) Check and control the printer(s). Type ??? to see the list of available commands. Show the content of the printer queue. Remove a printing job job_number from the queue. Run program_name adjusting its priority. Since the priority is not specified in this example, it will be adjusted by 10 (the process will run slower), from the default value (usually 0). The lower the number (of niceness to other users on the system), the higher the priority. The priority value may be in the range -20 to 19. Only root may specify negative values. Use top to display the priorities of the running processes. VPSes are really hard to use with the memory restrictions and CPU limitations...but with some optimization they can definitely serve your websites fast! Here are my suggested settings for the my.cnf file. This should work well for a VPS with 256-512MB RAM. Once that's done, just enter in "mytop" . You can use ab to benchmark your Apache before and after you make changes. I suggest doing 2 or 3 tests like that to get an average. Frynge, terrific job putting this together! Great post, good to have all this in one place. Question1: how to update chkrootkit? Do I need to remove the existing copy first? Question2: My sysadmin says that they don't recomend APF on VPS. APF kind works but you have to watch it. If you get over 2000 rules, it pukes out. We don't recommend it. Will BFD work without APF? Not sure about 1 - but for 2) I don't recommend having over 1000 firewall rules, so your sysadmin is 'tentatively' correct, however I have never personally seen APF puke out from average use. Thus if your VPS provider supports it, I'd go with using APF. BFD integrates with APF so I don't think it'll work without it. But, I could be wrong there. Thus if your VPS provider supports it, I'd go with using APF. Yes, APF will work on their VPS servers. Thanks. BFD does not require APF to run, and works fine on VDS servers by itself. So when you want to get the new version, just simply, repeat the steps on getting it and untarring it without changing the command line and your set. Thanks for more info on this. Its very important to keep your server secure, so these spammers and hackers quickly check your security and move on to easier targets. Keep adding to this thread so we can create a full security database for VPS'! Can you give details on how to secure /tmp ? This is a very useful thread- thanks! Question: Will BFD be able to block attacks without having APF? Or will it only detect the attack but not block the attacker? I figure that this does nothing since there is no APF to execute the command, correct? Just to answer my own question: to use BFD without APF you need to change the conf.bfd file to use host.deny rather tha APF. This works great. Thank you very much there is a lot of good information here. I just ran the trojan scanner on my VPS and it returned 21 possible trojans detected. Are these safe? If not, how do I get rid of them? What trojan scanner did you use exactly? I would recommend to run rkhunter and see what it says about MB5 matches. If it's showing the same problems then it's very likely you have been hacked. There isn't really a way to get rid of that because you'll probably never know what exactly has been done by a hacker, if he has removed his traces. The only option in that case would be to get your VPS (or server) reinstalled. Unless its a "passive" hacker I think i'm ok. I havent had any problems at all out of the server. The trojan scanner in WHM is no good, in my opinion. You should use chkrootkit or rkhunter instead (or better yet: both of them). Be careful though, never assume there's nothing wrong. Even though you might not notice anything a hacker might be stealing information from your customers and/or send out spam or DoS attacks when you're not looking. Good post! Anymore tweaks or does this sum it all up? Is it OK to install Razor (http://razor.sourceforge.net/) and DCC (http://www.rhyolite.com/anti-spam/dcc/) on a VPS? Quick small update on the original post. FIRST the pangea link still works for me. Just click it above. If you can't click it there may be something blocking you, as I have no problem getting the file. In the original post... it was said..
Fail at the beginning saves cpu time, but over time, with heavy users or many users, this will send bounces back to spammers who spam you. They bounce back to the server and the mail server gets over worked. I will edit my post above. hey apoc... it doenst look like you can edit posts? Do you know how? I wanted to edit the main post. I think that you can only edit your post for a short time then there perminate. -- for me, it looks like someone is doing dictionary attack on my ssh server. Can anyone make a suggestion for me? Doing that will disable the function that most exploits call upon. If you want to do that you should also disable all other functions that enable file execution such as: passthru, escapeshellcmd, popen, pcntl_exec, and I thinkt here might be a few others. Absolutely. This does not relate to security or optimization though. I don't use WHM, what file can I manually edit to change this setting? I have lots of spamd processes running. That is definitely a possibility but it does depend a lot on what those connections are doing. The config there is really just a template that you should tweak to your own needs. could someone give a brief example where and how to set this up? This is in WMpanel and cpanel. How about in plesk? do you have the tutorial on that one? It may depend on your installation. If you're using a Redhat-derived distribution (e.g., CentOS) with spamassassin installed by rpm, you should have a configuration file /etc/sysconfig/spamassassin. Edit that file and change the "-m" option. Default is "-m5" (five child processes). Try "-m2" (two child processes). If you're on a different distro, you may need to find the spamassassin startup script and change the "-m" command line option. Restart spamd for the change to take effect. How do I remove or edit the service banners without recompiling the packages of my WHM/cPanel server ? I would like to remove or possibly edit the server application and version banners that can be easily get noticed and grabbed by anybody or scripts even with a simple telnet to the listening port. It is a simple problem but it is always the first attempt of somebody who would want to attack or exploit the certain flaws from the running version of the application/service that he could find with that banner grabbing. The quick way to lure the attacker for his initial phase with this issue could be simply removing the banners or replace the banners with the ones from the completely different service platform. Is there a way to accomplish without recompiling any of the default packages of cPanel/WHM server? If you use Cpanel and WHM, there is a new firewall made by Chirpy that looks great, it uses a lot of less resources than APF and BTF and it is integrated into WHM as an addon as well. And it updates automatically. Also, you can access CSF from SSH. I have just changed APF and BTF for CSF and LFD (both from Chirpy) and it is working really nice in my VPS. But you never mention how to disable them, would you be very kind to explain this step a little bit further? I really want to thank Frynge for this terrific guide. i did not know how to manage a VPS,until i read this ,thank you ! This is a very great thread for newbies like me. After reading it and doing all this stuff I feel much more comfortable now about my new VPS. I do have a few questions though about things that are not clear to me. Can I disable these without interferring with cPanel ? How do I do that ? The post says to use "locate shell.php" but it doesn't explain how to disable it. These are the only 3 found by locate. It also says that there will be several that are OS/cPanel related such as /usr/local/cpanel/etc/sym/bnc.sym, should they be disabled too or is this sentence meant as a warning NOT to disable those ? It says that all my users will need to make sure their php files have permissions no greater than 0755. On my current reseller hosting account I've installed a few php based applications for my clients that wouldn't work until I change some permissions to 0777. I'm not sure what PHPSuExec does, what problems should I expect if php files do have greater permissions than 0755 ? That formmail script is a component of cpanel. Users will have access to use it if you make it available to them. Depends on how you have addons, features (Feature Manager) and packages configured in WHM. "shell.php" is a separate issue. Essentially you're looking for PHP scripts on your server than can be used to achieve shell access. These may have been uploaded by users or fetched by someone exploiting a vulnerable website. The files you've listed about are a part of cpanel's Horde webmail and can be left alone. PHP is run as either an Apache module or as a CGI (phpsuexec). As a module, PHP scripts run as the Apache user "nobody". In order for the user "nobody" to write to disk (e.g., to save an uploaded photo), directory permissions have to be relaxed, usually by setting the directory chmod 777 (writable by everyone). When using phpsuexec, PHP scripts run as the account user. The account user owns the account's directories, and therefore, the PHP scripts have ready access to write. There is no need to change permissions. Incorrect permissions or ownership will cause errors when trying to run the PHP scripts. Usually with phpsuexec, files should be chmodded no higher than 644 and directories 755. The files should be owned by the account username, not "nobody" and not "root" (that will also cause a runtime error). Is that thread cache setting a typo? That one in particular has always been vodoo for me, but that's ten times what I'm using. I can't immagine not hitting swap before half that many are cached on burstable 256 meg VPS. Thanks a lot for your answers, I really appreciate all the help you've given me in the last few weeks. Do I need to change the permissions on each and everyone of these files? and the same for CGIMAIL? Since :blackhole: processes the entire email, more resources wind up getting used. I, like many others, have tested replacing :blackhole: with :fail: on some of servers in the past, and can say that easily, without a doubt, less resources (namely CPU and disk I/O) wind up getting used, which helps keep the load average even lower than usual. :fail: will immediately send a 550 error after the invalid RCPT TO: line, vice accepting then discarding the entire email. I'm not saying that will work for everyone, but I have personally seen it immediately decrease resource usage on a shared hosting server with a fairly busy day to day mail flow, and would recommend it to anyone else looking to do the same regardless of the server type. Excellent tutorial! would you mind if i posted it in my knowledege base? Shall i have to do the long way or there a better way then this? i have try the above code to set the to send out an e-mail, when someone access/login to the root account of the server. but for some reason, i unable to see the user login Ip-address. Do anyone know, what code i should add so that it will show the ip-address? Is there a way to set the server to send out more then 1 alert mail (default of 1 mail) to the system admin, Looking at, the server will send to two or more alert to the rest of the system admin. LogWatch, SSH into server and login as root. 1. not a day goes by and I found perl scripts running on my vps who overload the processors. i restart the apache server and they are gone. how can i prevent those perl scripts to run? 2. another problem si a andos.txt file that i found on my /tmp folder who perform flood to a specific IP adress. how can i prevent this txt running? I am pretty sure that you can seperate the emails with a comma to send to multiple accounts. Just a question, I've got 256MB RAM and it seems to be using 140-150MB of it even if nobody is on the website but myself. Is that normal? Right now it's running Directadmin with mail turned off. Find if it's MySQL or Apache that is actually taking up the RAM...ps auxf will show you. I was watching top -c and one query on the forum looked like it used 3.3% CPU power while each page load took 0.7-1.3% on Apache. I tried setting Timeout to 30 and MaxReq to 0 but it doesn't seem to have changed anything... I'm not sure how to read the auxf reports! *8 users on our forum, posting, reading. That memory used is not for your VPS, but rather for the whole host node itself. I wouldn't worry about it unless you see bad performance. These tips are also applicable for VPS built in Fedora Core 6 and Webmin, right? I would say no, because the file system between Linux and Windows is quite different. Hello, I have a VPS with MySQL4/PHP4/Apache2. I've tried using the optmised values for my.cnf but they are not accepted. Can someone take a look at my my.cnf and tell me acceptable values like the ones in this tutorial? Please ignore my previous message... I have successfully implemented the values in the tutorial. Does this works in Ubuntu? Isn't it Linux based? It should work in Ubuntu, which is based on Debian Linux. Not to dig up, but thanks! Yes, it works even in Ubuntu. I'm not sure about Ubuntu live. Can't locate Term/ReadKey.pm in @INC (@INC contains: /usr/lib/perl5/5.8.5/i386-linux-thread-multi /usr/lib/perl5/5.8.5 /usr/lib/perl5/site_perl/5.8.5/i386-linux-thread-multi /usr/lib/perl5/site_perl/5.8.4/i386-linux-thread-multi /usr/lib/perl5/site_perl/5.8.3/i386-linux-thread-multi /usr/lib/perl5/site_perl/5.8.2/i386-linux-thread-multi /usr/lib/perl5/site_perl/5.8.1/i386-linux-thread-multi /usr/lib/perl5/site_perl/5.8.0/i386-linux-thread-multi /usr/lib/perl5/site_perl/5.8.5 /usr/lib/perl5/site_perl/5.8.4 /usr/lib/perl5/site_perl/5.8.3 /usr/lib/perl5/site_perl/5.8.2 /usr/lib/perl5/site_perl/5.8.1 /usr/lib/perl5/site_perl/5.8.0 /usr/lib/perl5/site_perl /usr/lib/perl5/vendor_perl/5.8.5/i386-linux-thread-multi /usr/lib/perl5/vendor_perl/5.8.4/i386-linux-thread-multi /usr/lib/perl5/vendor_perl/5.8.3/i386-linux-thread-multi /usr/lib/perl5/vendor_perl/5.8.2/i386-linux-thread-multi /usr/lib/perl5/vendor_perl/5.8.1/i386-linux-thread-multi /usr/lib/perl5/vendor_perl/5.8.0/i386-linux-thread-multi /usr/lib/perl5/vendor_perl/5.8.5 /usr/lib/perl5/vendor_perl/5.8.4 /usr/lib/perl5/vendor_perl/5.8.3 /usr/lib/perl5/vendor_perl/5.8.2 /usr/lib/perl5/vendor_perl/5.8.1 /usr/lib/perl5/vendor_perl/5.8.0 /usr/lib/perl5/vendor_perl .) at /usr/bin/mytop line 165. It looks like a PERL error, can we know which OS you are using, and whether or not you have perl or perl libs installed? My belated thanks also to the original authors layer0 and frynge. ool.dyn.optonline.net is the hostname of the ISP that logged in. Its not the actual IP or hostname of the individual who logged in. Running any tests on the hostname will reveal the IP of the general IP of the ISP not the individual subscriber. Just read the tutorial. Very nice job. I would not recommend to anyone to run this blob list of commands. The author put an effort in it, but clearly is missing the basic understanding of unix. let alone security practices. Well, would you like contribute at all? Im glad so many found this useful! I will eventually be posting new ones that are updated as CPANEL and WHM have updated a bit. Set UseDNS to off in your sshd_config. Great thread guys! Thanks for everyone help! How do I fix this? To show the correct hostname with the ip address? I ran the Root kit checker and it tells me that at Port 425 Possible LKM Trjan Installed. Now what? I assume you restarted SSH? Good suggestion! Now It works! This is good tut for me! I found APF to be quirky... but that's just me. CSF runs lean and mean and does way better than APF did on my box. I'd recommend combining CSF/LFD with MailScanner (through Chripy's site HERE.) Great way to go. whm 11.11 and cpanel 11.16 don't seem to have this option, where would I be able to find it? if i done this steps will my security be perfect?? Although this thread does have some very good information & advice, there is more that can be done to improve the security of your server. If you are hosting something which is mission critical to security you could always consider hiring a management company to do a once-over hardening on your machine or VPS in this case. The main key to security is to ensure all packages on the server are kept upto date, and to monitor the content of your accounts. Can somebody let me know the exact steps how to harden /tmp on a VPS? Do not think of it as a skill or a trade (as with many other tips around) you need a basic understanding of Unix (file system, superstructure, executables, suid bits...) and things like this would come natural. Anyone running their own server without an operator really should, and easily could learn this. With jiggerbit's answer you are still unsure what it really does, and if you break functionality of some other system component... It always comes back to the basics. My forum's can sometimes be quite laggy, and I'm not sure why. Load times are averaging at 2+ seconds. I'm on VPS hosting (I have 512Mb of memory - server stats are here). My forums are getting the same amount of people online as usual (e.g. a bit before peak time: "Users Online: 73 Guests, 41 Users over 15 minutes"). I've carried out the optimisation tips mentioned here (i.e. I've changed the relevant settings in my.cnf and httpd.conf). However I'm not sure what's causing this lag. I use SMF as my forum software, which is a very reliable and speedy software (other forums with millions of posts run SMF fine; I only have 800,000 posts). in /home/tauonli/public_html/forums/Sources/Load.php line 2180, which took 7.59983802 seconds. in /home/tauonli/public_html/forums/Sources/Load.php line 2110, which took 12.86598301 seconds. in /home/tauonli/public_html/forums/Sources/MessageIndex.php line 140, which took 2.8114779 seconds. in /home/tauonli/public_html/forums/Sources/Display.php line 174, which took 4.49542999 seconds. in /home/tauonli/public_html/forums/Sources/Subs.php line 556, which took 3.65229011 seconds. in /home/tauonli/public_html/forums/Sources/Load.php line 631, which took 15.63650703 seconds. Whilst some are completed queries, some are basic queries calling on data from basic table structures. Nice and very useful thread, thanks for posting this! and increase your query_cache_size and key_buffer_size. I have installed apf on my dedi's and it works great, I have come to install it on my cpanel vps servers and my users report they can not send mail has anyone else had this problem? As soon as I stop apf the mail clears from the que. I have made sure these are open in the config file TCP/UDP 25, 110, 143, 465, 993, 995.
what about sql injection thru the cpanel? i got hacked a few times like these. When I remove the alert all returns to normal. Any idea why it breaks it? edit the /etc/fstab file, then do a mount -o remount and it will remount /tmp and you are set - just don't be in /tmp when remounting. Another great tool against ssh brute force is deny hosts. It uses host.deny file which may be more appropriate for VPSs as the number of iptables rules is usually limited by the VPS provider. 2. Change your ssh port to the 2000+ range - remember to open your firewall for this new port..
3. Keep port 22 open on firewall - and now its a honeypot of sort - got to remind users to use the new non-standard port, but script kiddies fall right into it. 4. Anyone port scanning is only looking to harm, so they get dropped completely for a while and cannot do any more harm. Bye bye. And a word about security through obsecurity - technically a lot of existing security is through obsecurity - just differing levels of randomness - port, 8 character password or 1024 character certificate. If someone knew what port a service is running on, or knew a password, or knew the SSH key - either 4, 8, or 1024 characters - they have access. These random characters is why cracking works. Its only a matter of time before the port/password/certificate is found out if being cracked - even if its 20 years - at some point the attacker quits for an easier target. Again, if we can slow down the hacker, they will move on - or the script will move on. Think car alarms, 3 locks on front the door of an apartment, "The CLUB" - all there to say "move on to an easier target". ok, but tell me where to disable that, where is php.ini file? /etc/php.ini for most installs. When I started this there was about 6 months of no TV and lots of studying - hosting on the net is like jumping into a den of lions and my first few hits woke me up. A test machine with 42,000 failed login attempts scared me into studying. This is a great forum and I have learned from here and from howtoforge.com a massive amount - like going to school. "You must specify direct recipients with -s, -c, or -b." I checked for typo's three times. Any ideas? Nevermind...I was missing a space between end of the Email Subject info and my email address. It's working now. Great thread. This is really wonderful thread and very helpful to new VPS users. I love to see more tutorials like this. Since Blackhole reduces load, and Fail (in theory) could reduce spam, would it be possible to have a script that checks for load and then if its low sets to :Fail but if load is high it sets to :Blackhole? That way we could get the best of both worlds? I have installed chkrootkit and bfd exactly as designed (to the letter) in the first post about 4-8 weeks ago. Today my vps went down, for absolutely no reason as far as i can find, it was 'up' but i couldn't get onto ssh and it wasn't serving over 80. I complained, rather harshly because I have been receiving very poor service from them in my mind. They came back and said "someone has added some extra rules to the firewall". I know that no one has logged in (I changed the port for ssh), other than myself and I have made no configuration changes beyond install the above and moving the ssh port which is basic stuff. Does bfd or chkrootkit add any firewall rules or lock everyone from accessing the site? The host has 'deleted the rule and turned off the firewall', but i'm a little confused how the entries got in there that would have cocked it up... unless these did it? I can't tell you the firewall rules now because they've been removed and, surprising the firewall was turned off which just seems plum wrong to say this is a managed service I'm paying for. Its a simple php/mysql setup, directadmin is there but i haven't changed any configuration; a week or so back my host accidently removed one of my ips and assigned it to another customer, but on my end i haven't touched anything. So could bfd or chkdisk have done this? what could have done? I've quite literally just done a few steps from this guide and nothing else... how can these rules (that i've not seen so can't tell you what they are) have got there? it sounds like your firewall has blocked your IP from the system. It could happen if you have not added your IP to the white list. To check why or what have you done, just look into the /var/logs for the IP that your ISP has assigned to you, if you don't know what is your IP, then, you can enter into SecmasHost.com/ip and it will tell. This is a handy utility that I use with my customers when the firewall blocks them. After you have the IP, go and search on /var/logs/messages and if it is not there, then go and check on the apache error_log. Hope this help you to see what happened. csf+lfd works on all GNU/Linux servers with or without cPanel. This f/w script is well maintained and in certain cases betters apf. Install this on your cPanel VPS and test. On the HN, install either shorewall or firestarter. RKHunter is better and well maintained than Chkrootkit. This thread is certainly impressive - I have already performed a few mods via SSH. Great job! Thanks a lot for this information will definitely put it to good use! Good job. Thanks a lot! SQL Optimization specifically designed for Vbulletin, IPB, Phbb bulletin boards using multiple queries and shoutboxes. This WILL get you out of hot water with your host telling you you're using too much CPU. Thx for this one. It really helped me last night. This is a good guide, i used it and I saw increased performance. Hey will i need to have mail (smtp and all) set up to use these email utilities? I am new into this field. Any suggestions will be appreciated! The question I have is this: I have the Plesk firewall enabled through /etc/sysconfig/iptables-config. I can also install APF and BFD even though we use a top-level hardware firewall. Now then, do I need to add APF to the hardware node? Then do I need to add BFD to the VE? Or can I add APF and BFD to just the hardware node since it sees all IP's anyway? If using the Plesk firewall do I need or want to run APF? I mean, won't they conflict with one another? I can turn off the Plesk firewall just by removing the line from the config and restartiung VZ if APF is the better approach. By default we have most services off and only allow trusted IP's access to ssh. I am tired of my pager going off and OpManager going crazy. Issue with hardware firewalls is unless configured, they are typically not responsive firewalls - APF and BFD can do this. Not a direct answer but might help also - actually, I found spam and brute force fighting quite fun. For spam and bruteforce denyhosts might help - as some of the same bots brute forcing might be sending spam, but have not done a statistical test in a while - I installed but there was not enough email to statistically tell. The really useful part is the central denyhosts server that other denyhosts report bad hosts to and your server gets the updates. Also are the spams for a certain domain? I am hosting one domain and the spamhaus hits went up 30x when started hosting them, and down 30x when just the MX record was pointed to gmail. Unfort I installed denyhosts after this domain's MX record was migrated.. Thanks for the reply but the question is still unanswered. Do I need to add APF to the hardware node? Then do I need to add BFD to the VE? Or can I add APF and BFD to just the hardware node since it sees all IP's anyway? If using the Plesk firewall do I need or want to run APF? I mean, won't they conflict with one another? I can turn off the Plesk firewall just by removing the line from the config and restartiung VZ if APF is the better approach. It's recommended that you have a hardware firewall in place and have no open public ports on the hypervisor. I wouldn't recommend running a firewall on the host node itself. It should be firewalled with hardware and then allow your users up to 200-300 available rule additions for each vps. The hardware firewall works but the offending IP's need to entered. The firewall doesn't see them as a brute force attack and is why I asked about installing APF and BFD. I';d love an answer to the actual question. WOW !! just the one i was looking for !! thanks !! Hey Guys! this is a very useful, learning and informative thread. Thanks a lot for sharing your ideas and tips! Great information, really the most important of all is brute force detection! 1. Port knock module for the firewall used, to set up the proper PK'ing and keep the system shut in most cases. In conjunction with rate limiting, that will give better protection from would-be hackers. 2. Resources monitoring. Early warning about any unusual service/resource usage state could be very useful to pinpoint and handle the problem quickly. Snort could also be a good intruder detection tool. I thought 65535 was the highest port number? Is there a reason you can't set SSH to a port higher then 49151? Thank you. Very nice write up. This a fantastic guide, thanks very much! To have the server e-mail you every time someone logs in as root, SSH into server and login as root. Everything works fine to begin with but when I access SSH I do not receive an email. Also when I return to the file the line is no longer showing. I am using PUtty for this. If anything can offer any help I will be truly grateful. Make sure you save the file before exiting. You can also ask your host for help with it if you need it. Thanks for your reply njoker. Using PUtty I used ctrl + x then y to save and that seems to be right. OK I will ask my web host to help me with this, thanks very much for your help. You spent a lot of time making sure we have a secure, safe, VPS. Thank you for this tutorial. I first time come to a hosting forum, that;s worth it. Nice work and thank you for the heads up. Excellent information contained in this thread. I would encourage anyone adding security and locking down a host, to try and grasp an understanding of what the commands and tools are doing. Blindly following a tutorial - does not provide you with added security if you do not understand the possible consequences of the configuration changes. Agreed... http://www.ossec.net is an excellent tool, here is a quick guide - http://hackertarget.com/2009/08/osse...llation-guide/. As an additional tip, running Nessus or OpenVas, along with Nikto externally is a great way to check your config, patch levels and general external security. This is awesome, will come into hand when i purchase my vps. Thanks! any knows antivirus to protect injection virus, free of cost ? I had ran Quick Security Scan but didn't get any result. Note: You may see [FAILED] results below; These are normal as this means the service(s) were already shutdown. Can't exec "sendmail": No such file or directory at /usr/share/logwatch/scripts/logwatch.pl line 1017, <TESTFILE> line 2. Do you have sendmail or any other mail protocol installed? Excellent tutorial. The information has helped me. I think this is the total guide everyone is looking for when they go for a VPS solution. Wow thank you! This really helped me out on my VPS. Going to need it to possibly serve my customers. It seems the default mailer entry in logwatch.conf is not set properly. What is the default mailer you have on your server? are these general vps settings or is it ok to run a small hosting business using these? Nice work. It would really help VPS Owners. Great tutorial, long but great tutorial. Helped me a lot! I am a new VPS owner and I did some of the things here. My CCNA class finally starting tonight after 1 month of delay due to lack of participants, ...first part is networking fundamentals, i read in the course overview that on chapter 6 they will teach us how to use a networking utility called "ping"
Thank's for this, been looking for a good tutorial to keep my VPS secure as it has been hacked once. Is this tutorial up to date? it's 5 years old. Nice tutorial, but maybe you should update it. 5 years old but still an very helpful topic. nice thread guys! Thanks for everyone help! Which firewall is more secure? APF or CSF? Could also do with knowing this, anyone got any knowledge to part? Well, they both work with iptables. CSF is easier to use and it's well supported by cpanel/whm. Yeah, this is really great, helped me out a lot Thanks! Very useful thread about VPS tutorial. Awesome guide! Helped optimize my VPS. hopefully in the future I can start my own hosting business, and apply these techniques. Very Very Very good tutorial. 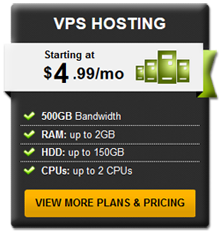 If you have a VPS I strongly recommend you follow this guide. An excellent tutorial to read, when I read this i found it all extremly easy to understand and to work. But I still have problem with kernel patching. does anyone give me the best tutorial of kernel patching. Your idea would be great to me. If i don't have pico as a cmd that means i dont have the pine right? I dont have any kind of cpannels. Wow!!! even I was aware of all(well almost) the techniques here I learned a few new softwares and techniques and sites. This is a very very very good thread! May I suggest you check out also http://securecentos.com/ for a good and structured source of centos hardening? So basically, on my VPS, I should have: the root account and my own account. And both of these accounts should have full access. Am I correct in stating this? Ideally, root user should not have SSH access, and non-root should be restricted to just a few (using AllowGroups directive in sshd_config, for example). Non-root can only have 'full access' via sudo. To do that, can't you just do this? Where "you" are another user (not root). What GUI are you talking about? Myself, I use plain command-line to control everything, to me it's quicker and simpler. SSH restrictions will all eventually be reflected in /etc/ssh/sshd_config and hosts.allow (if TCP wrappers are installed). Yep! How I do it is I have a normal user from which I sudo to root, and I disable remote root login. If I need more people to have root access, I give them normal users that can change through sudo to root, and that way I can see who became root and when. Ah, I'm a bit new to this. I was referring to what OP said. Actually, I have another question. Do these security practices work on Kloxo as well? Great tutorial and advice guys. I will be using Kloxo instead of cPanel and I noticed that Kloxo comes with LXGuard, which blocks a user's IP after specified number of unsuccessful attempts. Should I still do the section you mentioned about "Toot breach DETECTOR and EMAIL WARNING"? i guess this is the perfect guide I ever read. Great tutorial. Some of the input from the users are also essential! Maybe someone could re-create this, but updated with extra protection. Thanks man, im getting into the VPS business and this really helps to keep my files secure! Excellent How to guide.. This will come in most useful and save me some money employing "guru's" to secure my webservers in the future..
Nice guide to protect your vps !! Thx for the guide, secure a server sometimes is stressful. Awesome guide. I see ppl are still using it over the years. Any tips specific to virtualmin? I just upgraded to the newest WHMCS and my cart isn't loading, even people who click a link for a product get taken to a blank card, it did show two errors which were fixed by turning safemode off and the ioncube loader, any suggestions? Revert back to the older version for the time being until bugs get fixed. Thanks for everything. 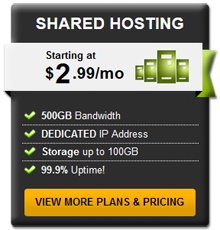 this is really good for all new comers which would give the hosting company to serve better to their customers. Very useful thread. Thanks for your post. wow that is really amazing to learn ! i think someone who can expert this can secure VPS to a good and long extreme ! If anyone is finding this on google then please note that the download location has changed for root kit checker. Very nice tutorial and very easy to understand but I would also include a firewall like (CFS). @Bluz, Regarding your WHMCS issue I have experiencing this in the past and it for me to fix this I had to go back to the old version of WHMCS before the update. Just an additional idea on how to secure Apache web server. - This will save you a headache on some of Cross site tracing vulnerability. just simply add the following at the end of your Apache main config and restart the services. By default trace is enabled on all apache web server upon installation. Could you add some MySQL optimizations as well ? Awesome write up, detailed tutorial. Anyone know where I can find something similar to this topic that isn't outdated? it's been 7 years but i'm still read this tutorial everytime securing my personal vps, great. This is overall discussion is really helpfully for all but no one introduce managed or unmanaged which ine is best and which plans are best for small, medium and higher business hosting. I actually just setup a new VPS with a new host and I had to come back to this tutorial I made ages ago, to see if anyone updated it. Am I blind... ? I want to update this original post but I can't find the edit button. How do I edit my own post? I see ... the edit button deletes after you log off the first time, so I cannot modify this. There are many updates and changes, since I made this so long ago. I'm using it to harden a new VPS that I got with the latest security. BOY have I learned a lot since this last post... PAINFULLY I have learned things. Also there was some good comments over the years from many people using VPSs. Can a mod give me access to update this thread ...... ? plllllllllllllease ? I will take out all the old stuff that is no longer valid and update it with all the new features that the new cpanel has. Also there are more additions from the thread and I have many more additions since adding this article. Anyways, thanks for all the people helping and commenting. The best thing to do is go to WHT help desk and submit a ticket and ask them. (linking to the post. Sorry I can not link to the helpdesk as I'm using my phone at the moment. Alternatively, you can start a new thread maybe? Registered just to say I hope they let you. This looks insanely useful, but I'm wondering what all is out of date. Oddly enough most of it is pretty good. I came back here to harden a new server I just bought and it worked very good. And other ways to harden your system, along with all the new comments and ideas... this guide is by far a definitive guide to hardening your VPS and is still incredibly useful. I'm about to go through the same process and just stumbled over your guide while looking for various things. I haven't read all of it yet, and I use nginx instead of Apache (no cPanel for me), but really it will be my go-to from now on too, unless you make another instead of update. Nice! It needs a update though Good work! Great Tutorial , thank's a lot ! It means you do not have the editor pico installed. Great post! But since I am a newbie, will these tips work even now? Needs an update?